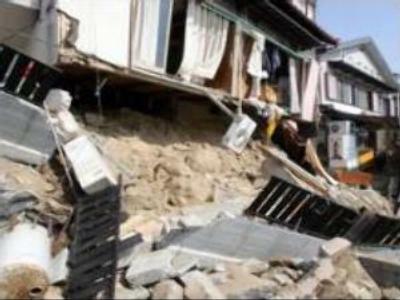 A powerful earthquake with a magnitude of 6.9 jolted the west coast of Japan on Sunday, killing one and injuring more than 150 people. The quake struck in the morning off the coast of Ishikawa over 200 miles west of Tokyo. A 52 year old woman died when she was hit by a falling stone lantern. Images from observation cameras showed buildings swaying violently. Reports are saying that almost 200 homes had collapsed in the area. Train companies suspended services on several lines and flights into and out of the local airport were cancelled.